January is National Mentoring Month. 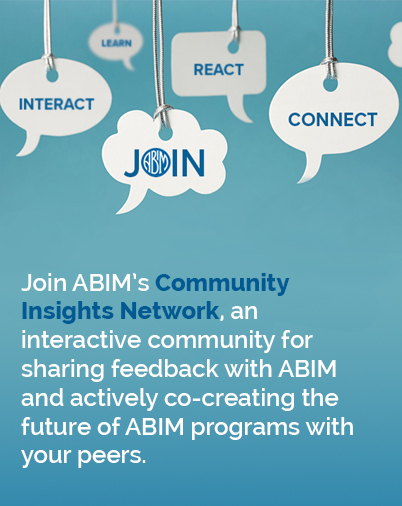 As leaders in Internal Medicine, ABIM governance members share how teaching and mentoring has impacted their careers. Take some time to #ThankYourMentor today! “Mentorship is a big part of my job. I once supervised a resident in his longitudinal outpatient clinic. When he started, he had some professionalism problems. Our relationship was not initially easy, as he was not open to feedback… Over time and with support, our relationship became a partnership between learner and teacher, and by the time he finished residency, he was one of the most confident, compassionate and outstanding patient care providers that I have known.